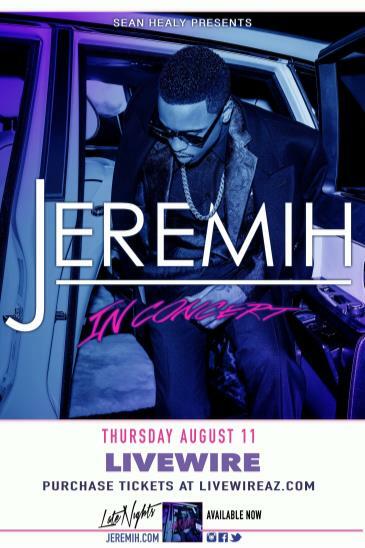 Due to unavoidable medical circumstances, our 8/11 show at Livewire with Jeremih has been postponed. A rescheduled date has not been confirmed although we hope to have one before next week. If you would like to request a refund, please do so through Flavorus by 8/31. Otherwise, your tickets will remain valid for the rescheduled date. We thank you for your understanding and apologize for any inconvenience. There is no new date, yet. Thank you for your patience.